We arrived to Africa! I never thought I’d be here. Coming into Morocco, I did not know what to expect. We were told it was a very different country, compared to the European countries we visited, but I also heard that Morocco was like the middle ground between Europe and Africa. 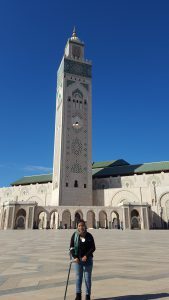 In Morocco, I had the opportunity to enter a mosque. While entering the mosque, I felt a strong energy enter my body. I pictured many people coming together and praying. The energy I felt enriched my overall experience since I was able to enhance my senses and actually be present in the setting versus just imagining it. I visited Marrakech where I learned about the Berber community and their history. Unknowingly in an attempt to ride a camel, our taxi driver took us to a Berber village where locals rent out their camels. 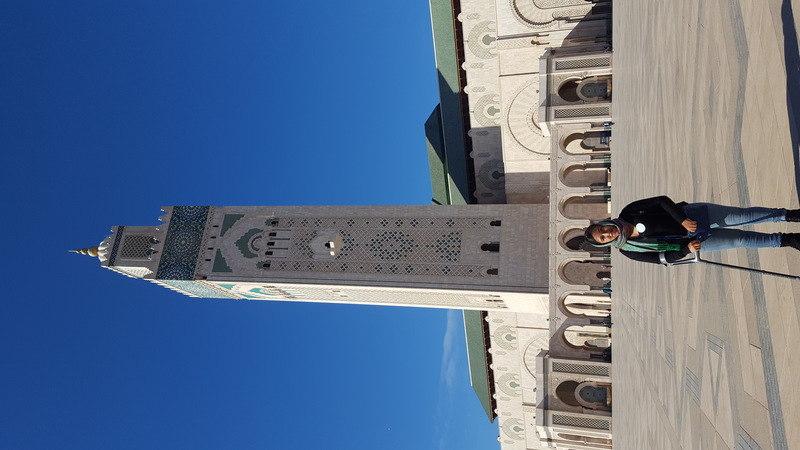 In Marrakech and Casablanca, I had the opportunity of interacting with locals which gave me insight into their cultures that I would not be able to obtain by just being a tourist. Senegal was also a very different experience. Many people on the ship have mixed feelings about Senegal, mainly because of the aggressiveness and persistence of vendors. The community here is big on Teringa meaning hospitality and it’s been very prevalent in the interactions we’ve had with one another. We visited a rural village in Senegal, close to the Lac Ross or Pink Lake. The communities were very welcoming and toured us around their homes. We danced and cheered together, and the whole community danced and cheered us off goodbye. Visiting Goreé island was a very powerful experience. The island and it’s people are all very beautiful filled with vibrant colors and a peaceful environment. It was difficult to see the slave house and imagining the conditions slaves where in inside of the house. I reflected a lot on our voyage in crossing the Equator into Brazil, the same voyage slaves were taken on. I’m almost half way through the voyage and everyday I reflect on every experience and interactions had. Meeting people has been by far the best experience in each country. They give me a sense of fulfillment that I would not otherwise receive if I were a tourist. At the Hassan Mosque in Casablanca, Morocco.